I’m not minding how lazy the sun is this time of year. It gives me an excuse to wake a little less aggressively. This morning, I slept until 6:30—nuts in my book—and only rose then because Grace took matters in her own paws and woke me herself. Lest you think she was mean about it, “waking me” means she settled softly into my chest and patted me softly on the cheek. It was actually a very nice way to wake up, so if she’s thinking she’d taught me a lesson—and by the smug way she cleaned her whiskers afterward I suspect she did—then that permakitten has another think coming. and just like that the rain came crashing, crashing, cleaning everything out–dove droppings, the humidity, the city’s collective hangover, my guilt over [detail redacted], everything. I pulled my ratty yellow chair a little further from the open window and watched the heavens come down with great satisfaction. Now I had a really terrific excuse to stay cozy today. Maybe I wouldn’t even take off my caftan. But when I shuffled back into my office to turn on some lamps and my computer, I found I just couldn’t do any more Revolver. 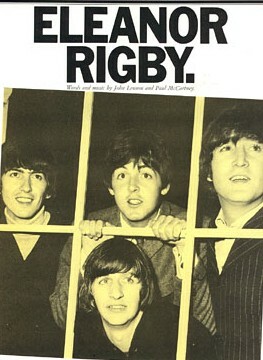 Paul started warbling “Eleanor Rigby” and I said out loud–Oh, for Pete’s sake. So I picked up my skirts and, with Gracie weaving between my legs, started dancing to Aretha’s version instead. Both our tails were twitching. You want to know what is it for? Shaking her head, shaking her can, one fist flying in the air while she wonders at everyone else twiddling their thumbs. Leave it to the Queen to raise the spinster the Beatles pitied into a liberated lady. Leave it to the Queen to make her an anthem unto herself. 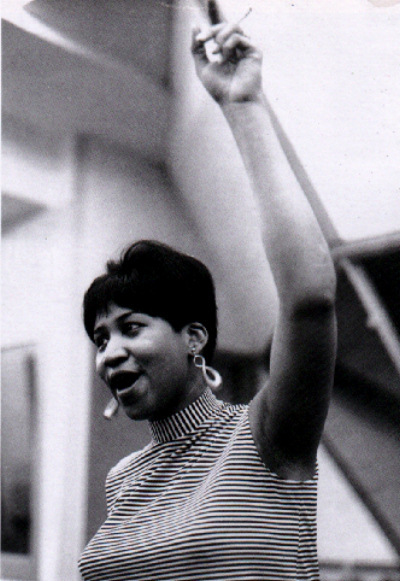 Really, there’s not a song on this green earth Aretha can’t improve with her end-of-sermon delight, and there’s not a person she can’t rouse if they remotely wish to be roused. I am sweating like the sky now, and am ready to change into grown-lady clothes and tackle this last week of Mercury retrograde. But first I had to remind you all: Dear cousins, dance it out.